A successful scheme which offers Somerset communities a share of £200,000 to tackle flooding is back for a third year. Somerset County Council’s Flood Mitigation Fund has supported 60 projects over the past two years, reducing the flood risk to roads, properties, a school and a village hall. This year the scheme will again focus on community projects proposed by Town or Parish Councils or other community groups. This could include schemes such as creating flood defence banks, clearing roadside ditches or opening blocked culverts to increase the capacity of a watercourse. Cllr David Hall, Somerset County Council’s Cabinet Member for Business, Inward Investment and Policy, said: “The Flood Mitigation Fund has been a huge success story since it was launched two years ago. “This is all about helping communities to help themselves, and we’ve seen a real desire for our local towns and parishes to increase their own resilience against flooding through this scheme. In Sedgemoor, Greinton Parish Meeting successfully applied for £4,485 to create a floodwater storage pond to improve surface water drainage. This scheme was jointly funded by Sedgemoor District Council, and helps reduce the frequency of flooding to two properties and the main A361 road. In Mendip, Norton St Philip Parish Council was awarded £12,936 to help protect the southern end of Norton St Philip from future flooding. 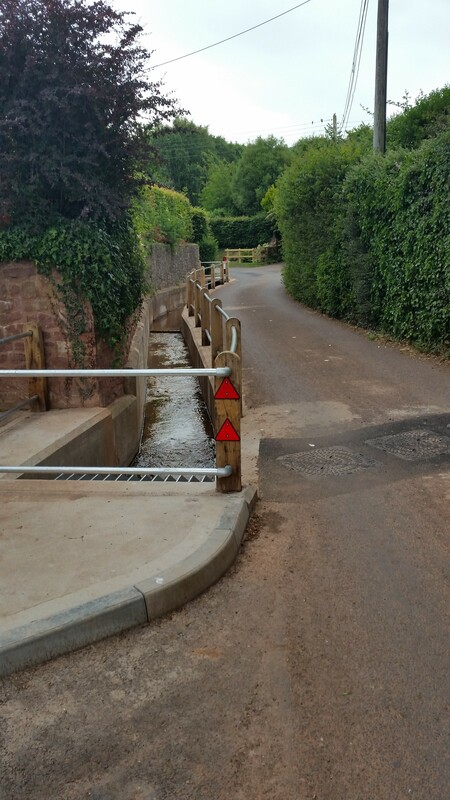 The improvements allow a greater volume of water to flow through a culvert and brook, reducing the risk of flooding to nearby properties and the busy A366. In South Somerset, Curry Mallet Parish Council secured £1,675 to rebuild a wall and create a floodwater storage pond near a local stream. This has improved the flow of the stream both under normal and exceptional rainfall conditions and reduces the risk of flooding to Curry Mallet Primary School, several nearby homes on Sheppey Road and on the road itself. In Taunton Deane, North Curry Parish Council successfully bid for £1,960 to carry out various work to reduce flooding along Stoke Road. During the 2013/14 floods, Stoke Road was closed on several occasions due to flooding, leaving a community of 600 homes cut off and causing issues with emergency access. The work should help resolve the build up of flood water and ensure the road is kept open, as well as reducing the risk of flooding to homes in Stoke Road and Broad Lane. In West Somerset, Carhampton Parish Council was awarded £42,000 to improve underground drainage in a scheme designed by West Somerset District Council. This should help reduce the risk of flooding to several properties in Windsor Lane, Tanyard Lane and those along the A39, as well as helping to keep the main A39 Minehead to Taunton road open at times of heavy rain. 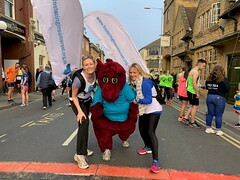 All parish clerks across Somerset have already been sent details of this year’s scheme, with the deadline for submitting applications fast approaching on 27 July. For more advice on making an application call Steve Webster on 01823 359324.